Overseeding Services That Bring Your Lawn Back To Lush. Do you have bare spots on your lawn? Maybe some drought damage or just some heavily traveled areas by the kids or family? Have a bad lawn? Are you seeing more weeds than grass? Does your grass appear thin? Before thinking you will have to dig up your lawn and plant all new grass, contact a lawn care professional. Take heart, most lawns can be salvaged without a complete “overhaul”. One step that can be taken in making your lawn look full and healthy is to over-seed. Over-seeding is the process of planting seeds directly into your current lawn. This helps to thicken up your grass, making it look fuller and healthier. Over seeding is an effective way to promote healthy grass growth and thicken some thin areas of your lawn. An experienced lawn technician for Ranger Lawn Care can explain the benefits in detail as well as help you make the right choice. Ranger Lawn Care can clean up these unwanted areas of your lawn for you and get your grass growing again with our Overseeding Service. Overseeding not only spreads new grass seed over existing turf, it also improves the density of your grass coverage and can also enhance the color of your lawn. If you combine our overseeding service with our aeration services you’ll be surprised how fast your lawn will be back to flawless. You may consider trying the DIY lawncare method, but there’s many times more to different treatment options than just the bits and pieces of information provided on the products themselves or even at your local home improvement shop. Truth be told, there’s a lot of science and well timed, precision treatments behind this type of lawn service. All that being said, that is why we believe hiring Ranger Lawn Care is a very smart choice for your lawn. With our experience in lawn care services, we can tell you exactly what type of seeding your lawn needs, how to apply it (the RIGHT way) and how to time your treatments based on your soil, and region of Green Country. 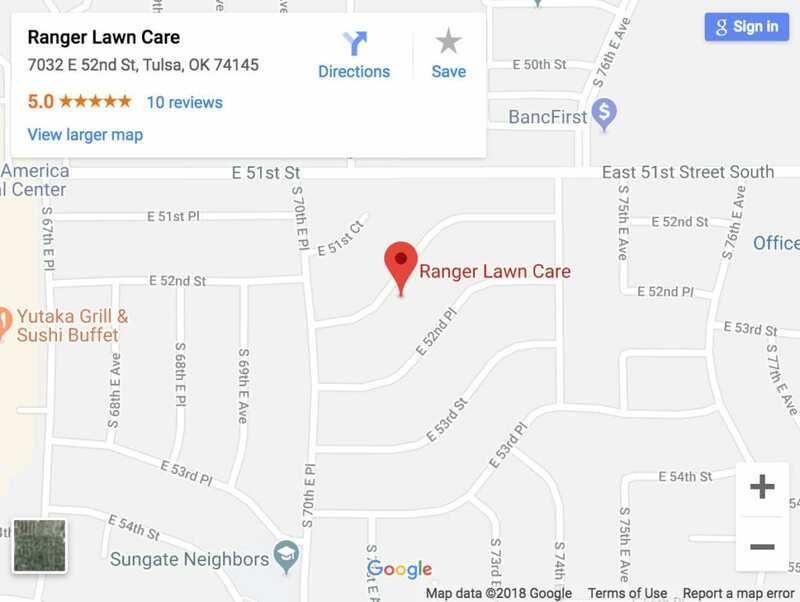 Why Choose Ranger Lawn Care? We will take the time to carefully select the right grass seed, and equipment needed for your specific lawn. Our top of the line equipment combined with our team’s years of eexperience and lawn care knowledge will ensure that your lawn gets the exact overseeding it needs. We stand by our work and will make sure that you are satisfied with the results of the overseeding service. Ranger Lawn Care only deploys trained and experienced lawn care technicians to ensure a job well done. Our overseeding service can make a significant difference to grass growth. Plus you can take advantage of our fertilization program to ensure it remains healthy.